You don’t have to be an Olympic weightlifter or a seasoned marathon runner to have a high metabolism. In fact, you can easily build muscle, increase your endurance and boost your metabolic rate by incorporating simple, strength-training movements into your fitness routine. Here are eight exercises to build muscle and increase metabolism. Incorporate these exercises into your interval training or do them alone to get your furnace going! Using your own bodyweight to build muscle is one of easiest and most efficient ways to boost your metabolism. Also known as skater lunges, speed skaters focus on lateral agility, targeting the core and major muscle groups like the legs, glutes and thighs to build strength from the ground up. To perform speed skaters, stay low to the ground with your knees bent slightly and hop from one foot to the other, swinging your arms like a speed skater to build momentum. To add difficulty, reach down with each side lunge or “skate” movement and touch the floor before hopping to the next leg. Mountain climbers are another one of those staple exercises that engage multiple muscle groups t once, especially your core. Begin in a push-up position on the floor, bringing each knee towards your elbow in quick, explosive moments. You’ll feel the burn in your arms, shoulders, abs and back. This exercise is a great for a morning energy booster. 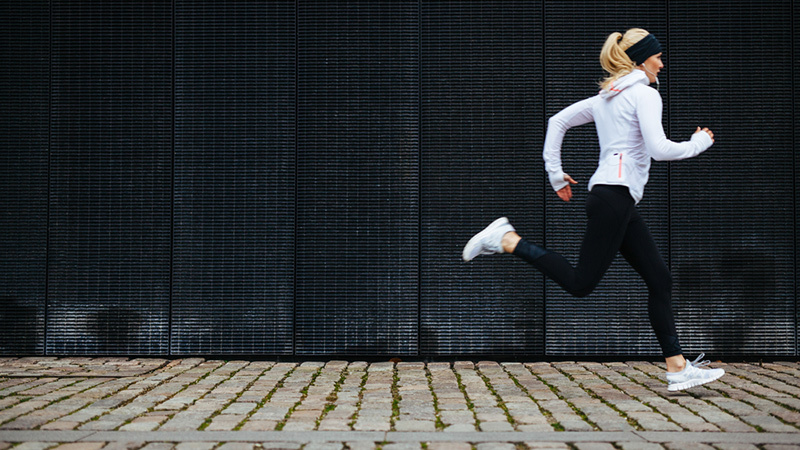 We all know that walking is great for your health and jogging has its place, too — but if you really want to boost your metabolism and build muscle, you must go hard and get sprinting. There are many tough sprinting workouts you can do, but here are six different sprint-based workouts that will get your blood pumping. Kettlebell swings are the perfect exercise for building stamina and strength; be advised however, that they require proper technique and form. If you are not familiar with this exercise, consult with a certified fitness trainer before you begin. Choose a kettlebell that suits your fitness level. The simple, effective movement engages your lower body and upper body for a full-body workout. 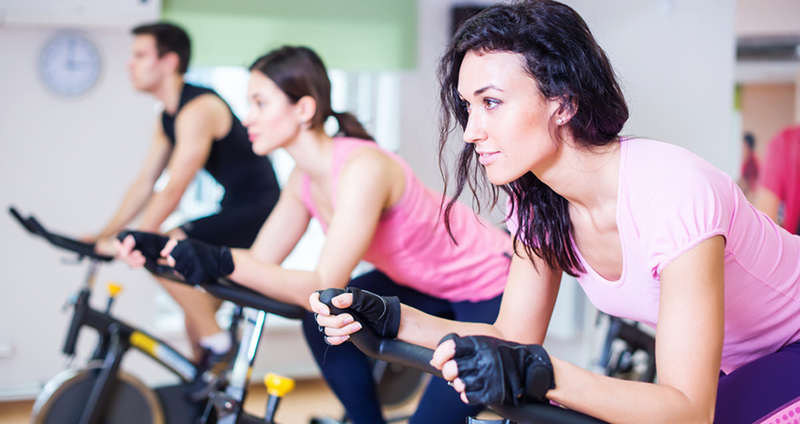 Cycling or spinning is an awesome activity that will build up your cardio fast. Don’t just breeze by on a negative incline, however; by incorporating hills; you’ll increase the resistance and build up muscle fast. The greater the resistance, the greater the burn. Sometimes, the simplest exercises are the most effective. Climbing stairs is one of those functional, every day movements that builds strength from the ground up (glutes, legs, calves, abs) and increases our cardio endurance, too. Use a stairclimber machine or simply find a set of stairs to get started. To get the most out of your climb, focus on your postures and keep your ab muscles pulled in (no holding the side rails, either!). Jog hands free. By the fourth or fifth flight, you should be feeling the burn. This 30-minute stair machine workout should do the trick! Last, but not least, lunges are known for body-sculpting results, but they also are a great way to build muscle and boost metabolism. To really rev things up, add an overhead press to your lunges — this is a full-body exercise that will work nearly every muscle. Begin with a pair of dumbbells or a kettlebell suited to your fitness level. Overhead press your dumbbells as you lunge down and up, alternating legs. You will feel the burn and feel energized for hours afterwards. Muscle burns calories, period. Increase your muscle mass and raise your resting metabolic rate by performing these simple, muscle-building exercises. Your body will thank you for it.